2014 Bordeaux? Why should you care? Well, for a few reasons. 2014 is a very good to excellent, quite pretty vintage that, for many people, will give more drinking pleasure than the “best” vintages such as 2010, 2009, and 2005. And it is, due to a combination of market factors and the dollar-euro exchange rate, a very affordable vintage that will never be cheaper than it is now. Having said all that, I am talking about a particular subset of the fewer than 300 fairly well-known chateaux (out of more than 6,800 total wine chateaux) in Bordeaux. Lets look at the economics first. 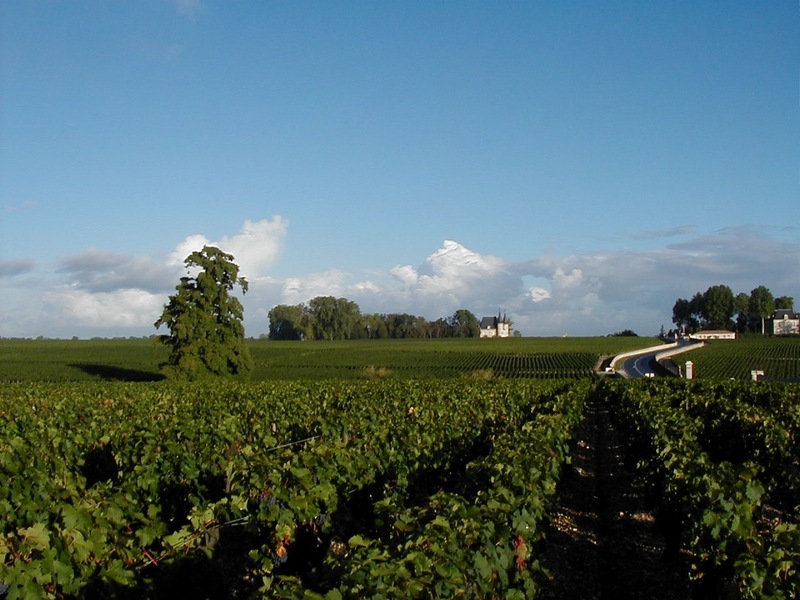 For this futures campaign, most Bordeaux chateaux were under a lot of pressure from the wine trade to keep their prices down and, to a large extent, many complied. For the most part, the release prices in euros were at or maybe a bit above the prices of the 2012s when they were released as futures. Which is all good news made better by a dollar-euro exchange rate closer to $1.12 per euro than the $1.35-or-more) we saw in 2013 and 2014. Without doing a lot of math, suffice to say that prices to the US consumer are generally down a bit from those of the 2012s when they were offered as futures … and 2014 is generally a better vintage than 2012. As to the vintage, 2014 in Bordeaux has turned out to be a better vintage than anyone thought, especially at the end of August 2014. A warm indian summer (September into October) saved and then elevated what looked to be a good but unexciting vintage. While this is widely recognized, it is less focused on than you’d think as the world’s wine press has been intent on bashing the Bordelaise over the en premier system and their pricing that they (the press) seem to have forgotten about the wine. After two trips to Bordeaux in the last three months, I can say (based on over 30 years of tasting Bordeaux extensively and nineteen straight years of going to Bordeaux to taste the new vintage) that the wines are very good indeed. How good? Easily better than any recent vintage except the afore mentioned 2010, 2009, and 2005. Better than 2000 and 2001. Better than 2008, 2004, and 1999. Better than 2003? To my taste, yes. Which brings me to the character (as opposed to the quality) of the vintage. I like pretty wines and 2014 is a pretty vintage. What do I mean by “pretty?” Pretty wines are bright and fresh, alive in the mouth with delicious (usually more red) fruit. They drink well early and, while they age well, tend not to go as dumb as some of the great vintages while they are developing. Pretty wines are not heavy or dark and brooding or ponderous (or, to use Robert Parker’s term, “profound”) or over-extracted. 1999 was a pretty vintage as was 2012 and, to some extent, 2008. These are wines I particularly enjoy drinking now, sometimes more so than the 2010s and 2005s and often more than a good number of 2009s. As pretty vintages go, 2014 is the best (prettiest?) in recent memory. A lot of the 2014s I tasted in April and May were so good already, I would have been happy to have them with dinner that night. For me, 1999 was much the same but these 2014s are better. Some of that is the vintage and some of that is the overall improvement in farming and winemaking over the intervening years but the bottom line here is that these are seriously good (if a bit underrated and maybe misunderstood) wines at very fair prices. What’s not to like? The links below give you Spec’s 2014 Bordeaux Offer in three formats. One gives you the wines listed alphabetically with my tasting notes and scores, one is the wines listed alphabetically with scores from me, Neil Martin (The Wine Advocate), and Jancis Robinson (the Purple Pages) and the last is is the wines listed by appellation with scores from me, Neil Martin, and Jancis Robinson. There are a few wines missing. I will soon be adding Le Pin and l’If and hopefully Petrus. That will be noted on the front page of the blog when it happens. To order 2014 Bordeaux Futures, please contact your Spec’s Fine Wine salesman.